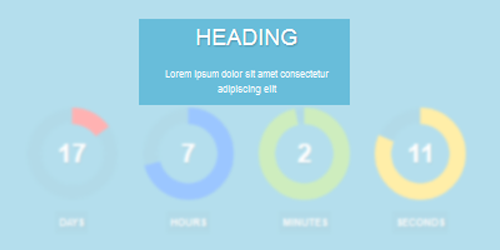 JA Countdown module allows you to display a cool countdown clock with defined date and time in back-end in any position in your site. Title and description are configurable. The cool countdown clock in front-page includes title and description. You can change the title and description any time from the module's admin panel. 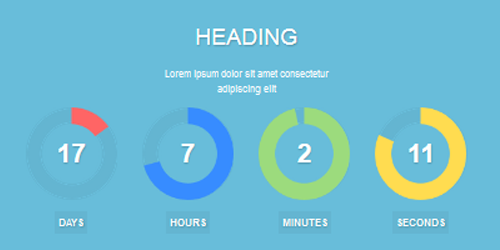 JA Countdown module supports 5 layouts, each layout has different front-page appearances. You can switch the layouts in back-end of the module. 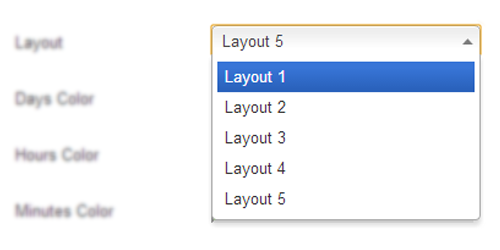 When switching layout, you will see that each layout has its own customization field. 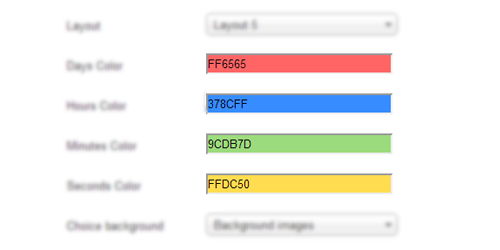 These fields allow you to customize the current layout. You can display any image to display as background. 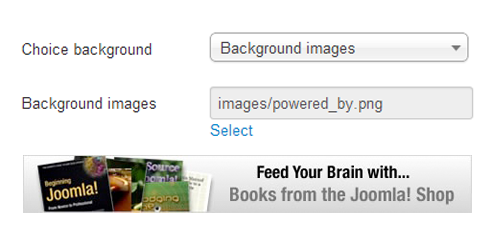 Just browse the image stored in your site to be displayed as background and all done. Set timeout to show clock.